Goff Ministries. Taking the Gospel of Jesus to the most remote regions of the world! Taking the Gospel of Jesus to the most remote regions of the world! An introduction to us with personal photos. A Discipleship Training Center for the those who seek a deeper relationship and understanding of God and His will for their life. Photos & Stories from the our 40 year history. Read about our evangelistic missions around the world. Our current & past monthly newsletters in PDF format. How you can help support this ministry. Links to online Gospel recourses. The first book of the the life of Larry Goff and his family is finally here! We know that you will be blessed and encouraged by the stories of God's power as Larry tells of his life following God by faith. or personal attention? We are here to serve. See where Goff Ministry is impacting the world. A closer look at who we are and what we are about. The first volume of the amazing life story of Larry Goff is now out. 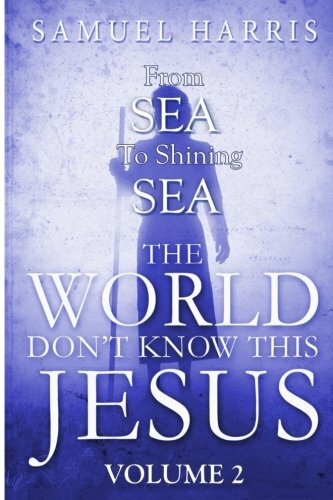 Every Christian needs to read this book. Get your copy today!